Singer-writer Penchal Das, who wrote and sang the song Daari Chudu from Nani’s Krishnarjuna Yuddham, has been brought onboard since Trivikram Srinivas wants to get the accent right. 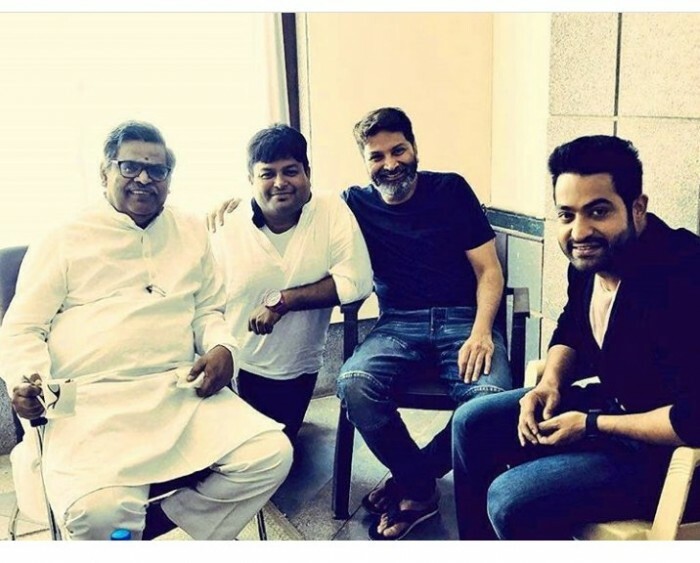 Actor Jr NTR and Trivikram have now paired up for the first time which has been titled Aravindha Sametha. Said to be a commercial potboiler, Aravindha Sametha will star Pooja Hegde as the leading lady and will be her first time, too, sharing screen space with Jr NTR. The shooting of the film is currently under progress in Hyderabad and makers are canning important scenes involving Jr NTR. Aravindha Sametha is said to have a Rayalaseema background and many characters would be seen speaking in that accent. And director Trivikram Srinivas is very keen on getting the accent cery correctly for which he has brought on board a tutor. Singer-writer Penchal Das, who wrote and sang the song Daari Chudu from Nani’s Krishnarjuna Yuddham, has been brought onboard since Trivikram Srinivas wants to get the accent right. Penchal Das has been giving his inputs for the film and has been supporting in the dialogues segment for the film. Jr NTR would be seen sporting a fitter and leaner look in the film. The actor’s efforts in getting into shape for his role in Aravindha Sametha shows off in the poster and fans of the young tiger will be much excited to know more about the film. The title, Aravindha Sametha, is not something you would hear when we are talking about commercial potboilers in Tollywood and hence, has created huge excitement around the film. Jr NTR’s fit and muscled body in Aravindha Sametha will surely go viral and make fans a happy group.